It seemed inevitable. 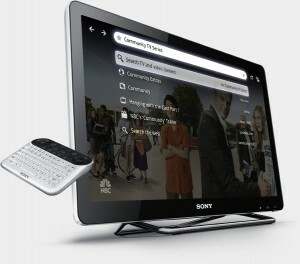 Google is killing the Google TV brand. At least according to a report from GigaOM, although some hardware partners have already dropped the name from their latest products, including the new Bravia TV stick from Sony. While manufacturers have been saying their products feature “Google services for TV,” a manufacturer confirmed to GigaOM that the software will be called “Android TV.” Google and developers have also been using the Android TV tag as of late. Intuitively it would seem Google would want a product they can sell to manufacturers as a feature branded to customers across multiple platforms, this ambiguity seems like either the branding hasn’t worked out or perhaps the manufacturers desire to use their own names along with their own GUI. A big wrinkle in this whole is the Chromecast, a simple USB stick made by Google while is mainly a bridge between mobile devices and the TV. Google may be thinking this cloud-based approach through mobile apps is the future of Android TV, and instead of supporting two TV operating systems just going down one path – Chrome OS.